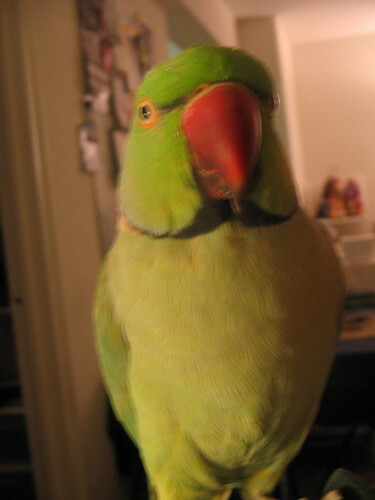 Pickles was last seen here, and I’m birdsitting him again while his owner is away. Shortly after I took this photo, Pickles pooped on the back of my shirt. I don’t know how pirates deal with this. Hehe, I doubt cleaning crap on their jacket would be high on a pirate’s list of priorities. Shivering their timbers, I imagine, would be number one.